Much to the chagrin of the mainstream media, a new NSSF study has found that gun industry sales are not decreasing after the election of Donald Trump as POTUS. In fact, the NSSF study has found that sales in March of 2017 were higher than sales in March of 2016. This, despite the rhetoric that many in the media have been pushing which seems to be centered around two points. First: That gun sales have significantly dropped without the “villains” — former President Obama and former Presidential candidate Clinton — frightening gun owners into buying their firearms prior to possible future restrictions on gun sales had President Trump not been elected. Second: That guns only appeal to the demographic of white males. It’s a paradox for the gun industry: Their pick for president, Donald Trump, is no good for gun sales. President Barack Obama was the greatest gun salesman in America — until Hillary Clinton ran to replace him. 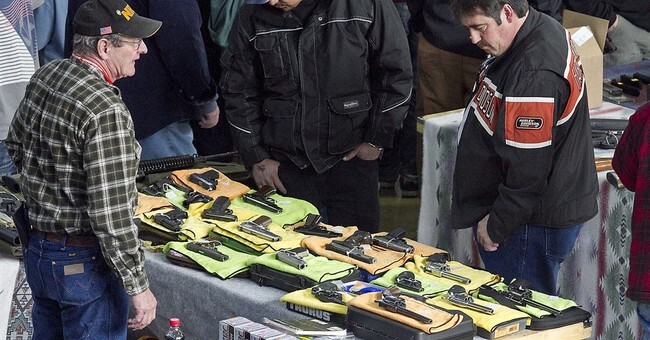 Sales soared to records because gun owners feared they would impose tougher gun restrictions. It is worthy of note that this Huffington Post statement has no sources for that information, so one must assume that this is simply the opinion of the author. It seems obvious then, that the author, who is an older, white male seems less than a credible source to evaluate how women, minorities, and millennials feel about the purchase of firearms. Somewhat ironically, though, the “mouthpieces” that the author mentions in this article are none other than the NSSF. In March, a Washington Post article managed to simultaneously note that both minorities and women are currently purchasing more guns and wanting to arm themselves – according to the article to protect themselves against Trump – while stating that gun sales have dropped off because gun store owners “stocked up” on 6 months worth of product, planning to sell it in 60 days IF Clinton had won the presidency. Their main source for this is Tom Mannewitz, a gun shop owner in Texas. Mannewitz is glad Obama is out of office but acknowledges that the Democrat was great for business: The store recorded 8 percent growth last year and sold record amounts of AR-15s during his presidency. The numbers bear his perceptions out: In October 2008, the month before Obama’s election, the FBI processed 1.2 million background checks. In November, the FBI performed 2.6 million background checks. Ahead of a possible Clinton win and an expected “panic buy” wave, Mannewitz prepared for customers rushing to stores and emptying shelves for items that had the potential to fall under a possible ban: AR-15s, high-capacity magazines and large quantities of ammunition. It never came, and the extra six-month supply of ammunition that he had amassed — hoping to sell it all in 60 days — is still sitting on his shelves. The fact that this inventory – again, a 6 month supply – had not yet completely sold out 4 months after President Trump was elected does not point towards decreasing gun sales. That is a false premise. Mr. Mannewitz bet on the wrong horse to win the race when he stocked his inventory. Instead, he has a 6 month supply that is likely going to take 6 months to sell. Such is the nature of business. Now, Mr. Mannewitz is not a complete idealist. He comes across as a realist stating, “In bad times, when people are fearful of their safety, they buy guns. In good times, they buy nicer guns.” In other words, guns don’t stop selling; they just sell for various reasons during various seasons. 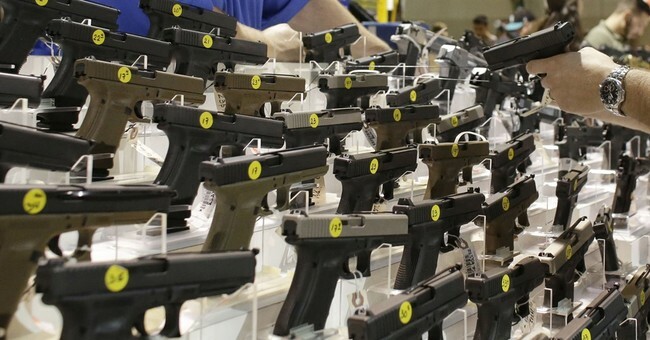 Despite the mainstream news media narrative, which has overemphasized the political component of sales, the sky is not falling for the firearms industry,” Michael Bazinet, NSSF spokesperson, told the Washington Free Beacon. “We are seeing a cyclical downturn that had to be expected after recent record sales years, but the valley floor is also considerably higher after a decade of increasing participation in the shooting sports. The NSSF recognizes that March of 2017 had more sales than March of 2016, but it also recognizes that, just like any other commodity, there are peaks and valleys in sales. As Monty Python would say, this is supposed to be a happy occasion! 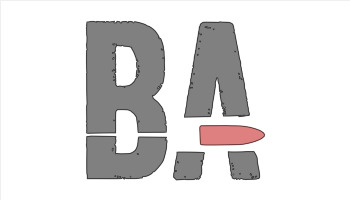 Let’s not bicker and argue about silly things… [paraphrasing a bit] Let’s just celebrate the fact that more minorities, women, and millennials, along with the feared white males, are learning about and interested in firearms, and the facts show that gun sales are doing just fine.